My interest in sewing started as a young girl, stitching clothes for my dolls by hand. My mother was not a sewer but a fine knitter and I believe I followed in my aunts footsteps. My very first quilt was made when I lived in the Nurses home at the hospital during my general training. I have been lucky in my life to have had two wonderful careers. My first love was midwifery and I was honoured to be included in life's most precious every day miracles. Each birth a special one! I have tried almost every craft and over 30 years ago stumbled into quilting and here I have remained. An interest became an obsession which then became my career, including teaching and designing. I would describe myself as a traditional quilter with a modern twist. I love scrappy quilts and the more fabrics I can use in a single project the happier I am. In my perfect world I would hand stitch everything but with today's busy lifestyle I do machine piece occasionally. The store offers an eclectic mix of fabrics including Japanese, Liberty of London, linens from Europe and a wide collection of patchwork fabrics. We offer wonderful service and classes and host both local and international tutors. time to spend expanding and developing my range of patterns under my own label. At this time I also started to design fabrics for Moda, one of the largest fabric companies in the USA and write my first book "Quilt Lovely" published by F&W Media. This in turn has lead to invitations from all over the world to exhibit my quilts and teach. I pinch myself regularly!! To think a girl from a farm in rural Australia could be the featured artist at a quilt expo in the USA, the Netherlands or Norway. How lucky am I ??? Carmen Geddes brings her love of quilting and people together for a fun day of learning. Enjoy her friendly, low-key approach and her great quilting techniques! Her expertise is helping her students build confidence. She was named Teacher of the Year at HMQS. 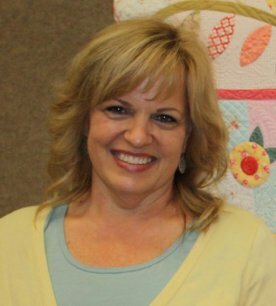 She has taught at many quilt shows around the country including Houston Quilt Festival and Road to California. 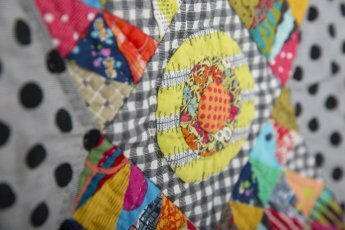 Her quilts have been featured in Fons and Porter Scrappy Quilts and Love of Quilting, Quilter's Newsletter, and McCall's Quilting and Embroidery magazines. She is a teacher for Imagine with Riley Blake. She resides in Eagle Mountain, Utah. 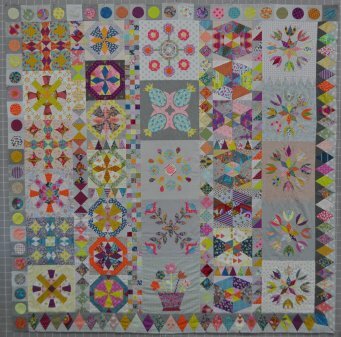 She has developed the Tensisters Piping Tool and the Tensisters Easy Piecing Grid with its companion books, “Ten Quilts for Ten Sisters” and "Quilts for Kids". Carolina is an architect who discovered the quilting world in 2010 in Switzerland. 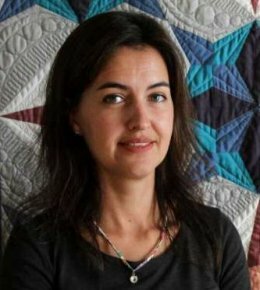 She loves to design her own projects, her own quilt patterns and the past years have had the honor to see her quilts in Exhibitions all over the country, for the International Quilt Festival in Houston (2015, 2016 and 2017), American Quilter's Society quilt weeks and also at MQX New England (2016). Since her relocation to Connecticut, Carolina also teaches quilting classes and workshops to domestic machine quilters. She designed her own method to teach free motion quilting based on her artistic background. Her goal with her students is to make them able to recognize the strong elements of their own quilts and use free motion quilting designs to create unique work. 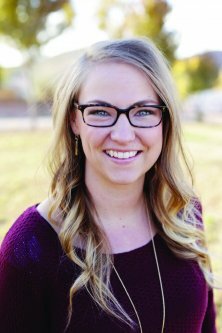 Chelsea Briner is a wife, mother of 3 and an avid seamstress. She has always enjoyed all things domestic, which is why she graduated with a degree in Family Consumer Science (aka Home Economics). She LOVES to teach and she especially loves to teach others to sew. She has taught both beginner sewing and fashion design to more than 700 high school students. In 2012, she started her own PDF pattern shop selling children’s clothing patterns. You can now find her teaching children and adults alike how to sew on her blog, GYCT Designs. When she is not sewing, she enjoys reading a good book, spending time with her children and planning more sewing projects to do. Cindy has been quilting for more than 25 years. She is best known for her international award-winning quilting accomplished on a domestic sewing machine. Cindy’s book, “The Grid Design Workbook” has been hugely successful due to the current popularity of grid-based quilting designs. 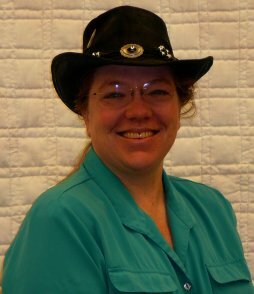 She is also an iquilt instructor and has several on-line domestic machine quilting classes. Cindy loves to teach machine quilting and feels great pride when her students tell her that after taking her classes, they have the confidence and ability to now quilt their own quilts! 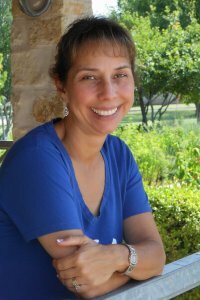 To learn more about Cindy, go to www.quintessentialquilting.com. 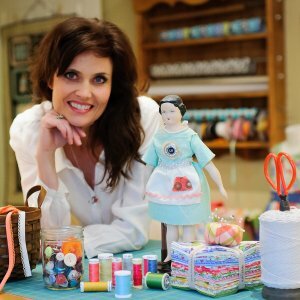 Connie Spurlock, owner of and a designer for Sew Wonderful Dreams lives in Coeur d'Alene, Idaho and has been teaching across the US for more than 20 years. 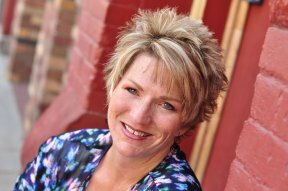 Schooled in marketing but with a passion for teaching, Connie brings "can~do" projects to students on every level. Our specialties are paper piecing and appliqué but we love our "freedom projects" for sweatshirt jackets and tote bags ~ patterns geared for fun and easy sewing. DeLoa Jones has been an avid quilter for 39 years and has had a longarm quilting business for 19 years. Sheis an international that enjoys teaching new techniques and shortcuts to help her students achieve their goals in their quilting journeys.She has written 5 books and has many longarm rulers and stencils that she has developed. She is the mother of 8 and grandmother to 12. She lives with her husband Dave in South Haven Michigan. Quilting has been a major part of Denise's life. Her mom opened a quilt shop when she was four years old. She remembers going to work with her every day, playing with all the fabric and admiring the beautiful quilts. As she got older she learned to make quilts of her own and teach others how to quilt as well. 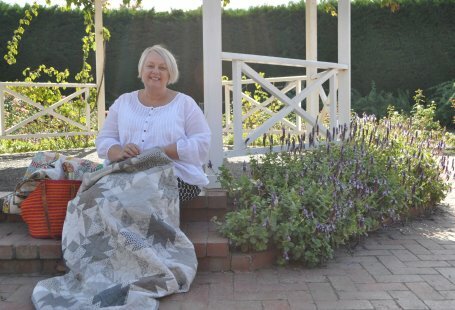 Denise went on to own her own quilt shop until she met her husband and moved to Utah in 2010. 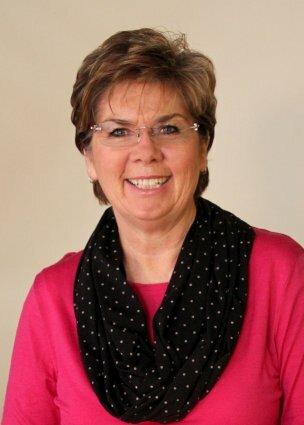 She currently manages Nuttall’s in Salt Lake City, teaches piecing and both domestic and longarm quilting classes to students all over the world, and is a Bernina Longarm Specialist. She loves making quilts, especially for other people, she puts alot of thought into the choices she makes. Denise especially loves the joy quilts bring to the people she gives them to. She also loves teaching other people how to quilt so they can share their gift with others. Eric and Denise have been married for seven years and have the two most handsome boys, Joseph is seven and Zachary is five. They keep her pretty busy, but between spending time with them, working full time and exercising, she is in her sewing room either creating her next class sample or quilting something. 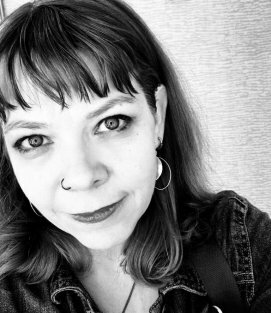 Dorie Hruska is a 4th generation quilter, author, pattern designer, APQS dealer and Professional Longarm quilter since 2002, with a background in Business & Accounting. 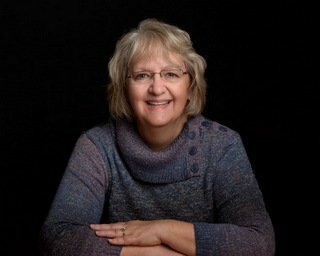 Dorie's work has been featured in several books & publications and she has won numerous awards for her machine quilting at the local and national levels. Although she uses a variety of quilting designs and styles, Dorie is best known for her ability to find a continuous quilting path on any quilt, a technique she teaches in her book, Making Connections, A Free-Motion Quilting Workbook. She has also designed a set of grid stencils, several other grid based design books and numerous quilt patterns. Including patterns on English Paper Piecing, which she also loves to teach. Sharing her passion of quilting and encouraging others to quilt with confidence is what she loves most about teaching. I am a long arm quilt artist. My wife and I own a quilt shop in PA and we travel. I'm known for quilting in the dark and my thread painted quilts. Emily Taylor has been a professional in the quilt industry since her first fabric collection debuted in 2009 with Riley Blake Designs. She produced over a dozen fabric collections as a Riley Blake designer. In 2017, Emily began creating collage art quilts. She now sells her patterns and teaches her unique technique for creating stunning collage quilts. 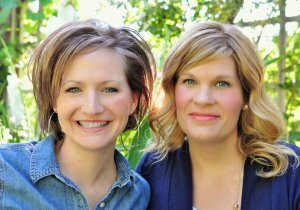 In addition to being a designer and entrepreneur, Emily is a wife and mom to three children. 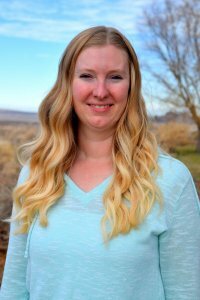 She loves living in Utah, where she enjoys skiing and mountain biking in her free time! Gail Berry … 30% homemaker, 28% mom, 75% quilter, 110% Gramma and not good at math. I live in a little town called Highland, which is not known for being Scottish, or for anything really, but it is a lovely town full of great people and neighbors. I love British history, early American history, quilting, cross-stitching and hand-work of all kinds. Emily is a believer of living life to the fullest. Sewing, mothering, traveling and making a creative home all help her to do that. She's been sewing since grade school and full time creative content/pattern maker since 2008. She loves sewing kids clothes and fun things for her home. 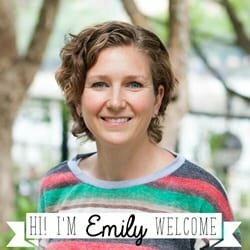 Emily has been featured on two seasons of the PBS show It's Sew Easy, a featured guest on American Patchwork & Quilting Talk Show Podcast, and had taught at creative conferences around the country. She hosts a weekly FB live sewing show where she shares her love of sewing an upcycling fabric with an audience of thousands each week. I'm a seamstress and mother. In college I studied clothing construction while working at a tailor shop. 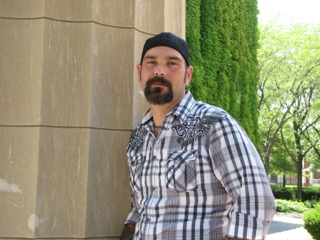 I was able to sew clothing from both a construction and altering point of view. I combine these two perspectives on my sewing blog where I love teaching anything and everything about sewing. I'm currently in the process of creating a fully handmade wardrobe. My self-confidence has grown because I've come to appreciate my unique body and measurements. I sew all my own clothing, I blog, I thrift, I upcycle, I refashion, and I love to teach sewing classes. I'm also a self-proclaimed fabric-fondler. Gemia Carroll is the designer & blogger at Phat Quarters. 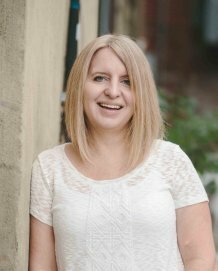 She enjoys designing children's PDF patterns, making beautiful clothing for her children and occasionally herself, hoarding favorite fabrics, and blogging all about it! Gemia began sewing, 'for real' after the birth of her first child, over 14 years ago, and has loved the journey it has taken her on. She also loves photography, scrapbooking and outdoor adventures! Karie Johnson Nelson fills her bucket by quilting with her mom and hiking in beautiful places. These two loves merge with small landscape quilts that are quick to put together and are a great memory of sunshine and adventure. 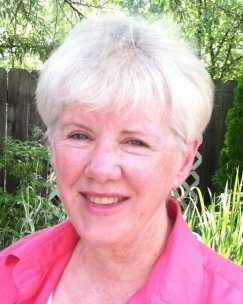 You may have taken a class from or known her mother, Carol Byington Johnson, who started landscape quilting at the Bryce Canyon Quilt retreats in the 1980's and has been a Silver Thimble recipient and Utah Quilt Guild member since 1981. If you have ever explored the beauty of the western landscape you will be addicted to these quilts. Karie is excited to continue the landscape quilt tradition and bring you fun new patterns and fabric kits. 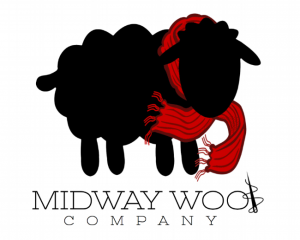 She runs the long arm quilting and pattern-design business Knot and Thread Design, LLC. You can stay updated with her business on her Instagram page @KnotAndThread. Some of her patterns include: Olivia’s Baskets, Second Star Quilt, and Hello Pouches. She has had several opportunities to travel to Zambia with Mothers Without Borders and share her sewing skills with the women there to help empower them to become more self-reliant. These are some of her most cherished memories. Her mission is to create products that will allow quilters to be more organized so that they can be more present and focused on the things that bring them joy. She and her husband of two years recently bought their first home in Orem, UT. She also loves sunshine, finding excuses to get together and sew with her friends, and chocolate chip cookies. Growing up on a farm in Idaho, Kimberly was taught how to sew at an early age by her mother and both grandmothers. She began quilting her senior year of high school. In 2003, Kimberly attempted to quilt on her home machine for the first time and was hooked. From there, she graduated to a longarm in 2007. She became a professional longarm quilter in 2016. Using her HQ Avanté® with Pro-Stitcher®, she is able to create and quilt designs with precision and still add whimsical touches with free-motion quilting. 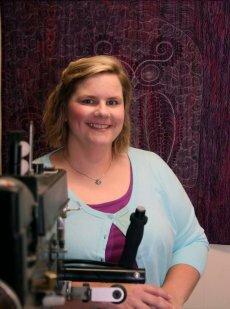 Whether quilting on her home machine or on a longarm, Kimberly loves the process of choosing designs to complement and highlight the piecing. Over the years, she has evolved from a very traditional quilter to a more modern quilter. 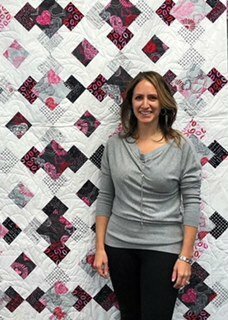 She began teaching classes several years ago, and loves passing on her passion and knowledge about quilting to her students. 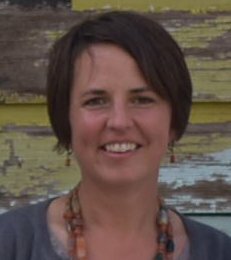 Kimberly is a member of The Utah Quilt Guild and The Modern Quilt Guild. 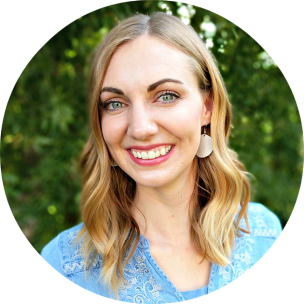 She is the mother of two teenagers and lives in Utah, where she loves to hike with her dog in the beautiful mountains in the summer and stay inside and sew the rest of the year. Trunk Show: "My Girlfriend's Quilt Shoppe"
Margie was taught how to sew, crochet, knit and everything else in between by her mother. As a child she made baby quilts, Barbie® clothes and crocheted chains for jump ropes, and by the time she was 12, she was making my own clothes for school. Marie is an educator in the Handi-Quilter studio and has taught Pro-Stitcher for over 7 years. Quilting and teaching are her passions. 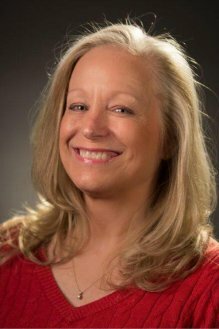 Her teaching tips and techniques have been featured on Quilt it-The Long arm Quilting Show for QNN, American Patchwork and Quilting and Quilter's Newsletter as well as webinars, HQ Live and many instructional videos for Handi-Quilter. Her quilts and tips are in a variety of magazines. 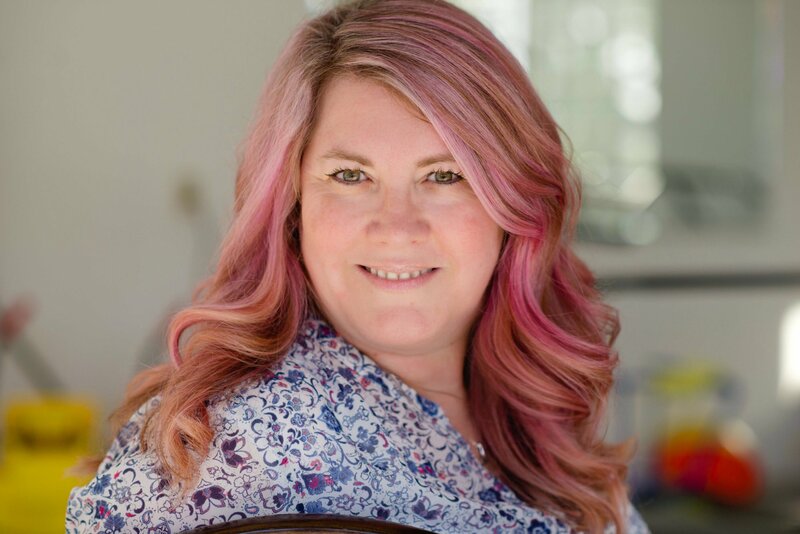 She teaches full time for Handi-Quilter and quilts non stop..
Melissa started quilting as a hobby in 2005 but since starting her blog, Happy Quilting, in 2010 her hobby has turned into a passion. 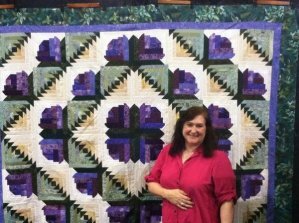 Her passion for quilting has lead to creating her own designs that she shares as tutorials, published works, a pattern line, and even her own book, Irish Chain Quilts. Melissa loves designing and finds inspiration in just about everything and anything. 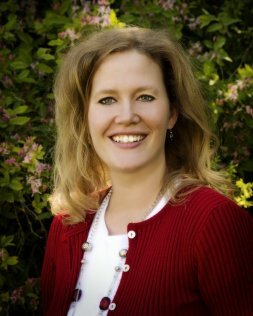 Melissa, her husband and their five little children live in Cedar City, Utah. To see more of her daily quilting adventures check out her blog Happy Quilting. Patricia discovered the joy of quilting after completing her second quilt while attending a WonderCut retreat by Alice Walter and Deb Hopkins (designers or the WonderCut rulers). As Quilter's Rule developed the Design Tools line, Patricia has developed a knack for designing different patterns using templates. She demonstrates the techniques at shows and teaches classes on these techniques. With the innovation of a ruler foot that would allow quilters to use templates on their home machine, she has transferred these techniques to the machine and now teaches how move templates to create quilting designs while on your machine. 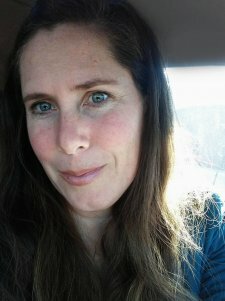 She looks forward to sharing her techniques to help you develop your own style and expertise. 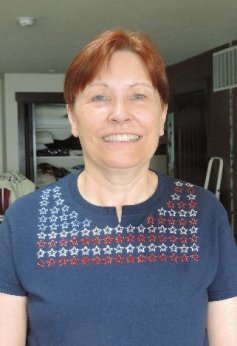 Patricia represents the family owned and operated business, Quilter’s Rule, and attends over 20 quilting shows a year. I first found my love of sewing on a treadle machine, using a phone book to be able to reach the pedal. I pull from years of experience: from making my own school clothing in third grade, working in a jacket factory, a restaurant owner, computer programmer, accountant and now Long Arm quilter to combine techniques that apply across that experience to identify and solve problems (sometimes with some McGuyvering!) and increase your productivity. In all my classes, the goal is to give you an advantage: consistently square quilts, binding using the Long Arm, shortening your learning curve on pantos and rulers, and avoiding problems in quilt tops and backs in preparation for Long Arming. Sewing and drawing have been part of my life since pre-school, so when I stumbled upon a longarm machine, it was love at first sight! Looking for a career that would put my creative talents to use, I retired from the insurance business and began quilting for hire, and now travel internationally and teach longarm quilting both privately and for Handi Quilter, Inc. There’s nothing I enjoy more than sharing my knowledge and love of quilting with others, or to hear a student remark, “I can’t wait to get home and do this myself!”. When I’m not enjoying the marvelous community of quilters, I spend my time at home in Central Texas with my husband and two pups. make truly individual fabrics. Embellishment heaven! No time, no talent. 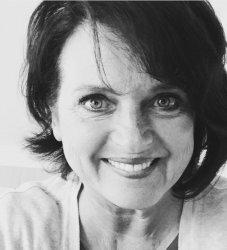 With 30+ years of sewing experience and more than two decades as a quilter, Teresa has an array of knowledge and skills that she uses in her workshops with both quilters and sewists alike. 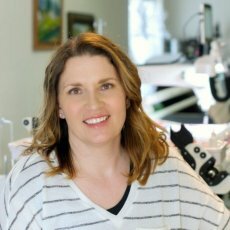 For the last decade she has been teaching at local stores, regional conferences and national events, sharing insight on the best tools and techniques for sewing with a wide range of fabric. These days, she specializes in teaching others how to easily work with fabrics that can be intimidating to those not yet in-the-know. Longarm Quilting Business, Where Do I Start?